Home to luxury resort living and breathtaking landscapes, Rocky Point is a flourishing beach community with a wide selection of real estate opportunities. However, when it comes to buying and selling property in Mexico, finding the right realtor to work with might seem easier said than done. How will you know if you’re making the right choice? What sort of things should you consider? One thing to look for is a realtor who is comfortable and familiar with the area. Our associates at RE/MAX live and work in the same place and are very committed to their community. Our family owned company has spent over 30 years in Rocky Point, so we have experience and community connections. Experience and proper training make all the difference. You want someone who knows what they are doing. We train our agents weekly and their education allows them to sell more real estate property than other companies. 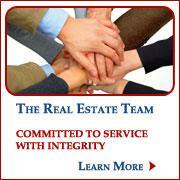 All of the RE/MAX team members are extremely qualified and equipped to manage any property. Having a realtor with excellent communication skills is also key, especially when you are dealing with property in a foreign country. Our company has a guaranteed open line of communication seven days a week and is always looking for ways to change for the better. We’re constantly checking in with both our clients and our agents. Consider a real estate company with outstanding exposure and a positive market presence. RE/MAX is one of the fastest real estate franchise networks on the planet. The large majority of our business comes from repeats and referrals, as we see client satisfaction being of the utmost importance. These are a few of the important qualities that a professional realtor should have, and at RE/MAX we’ve got them all. Join us in the search for your dream property in Rocky Point and we’ll ensure that all of your questions get answered so that you feel confident and educated in all of your real estate decisions. Buying real estate in Rocky Point Mexico can be a great opportunity. With professional representation, a basic understanding of the process and a direct line of communication RE/MAX is here for you. We are always available to answer questions making opportunity more about what you want in a property and a comfortable feeling of knowing you are taken care of. Professional RE/MAX representation and our value to you. The process of buying with RE/MAX in Rocky Point, Mexico. Our communication to you and our RE/MAX Trust Department. At RE/MAX we are here to provide you with a safe and secure transaction. 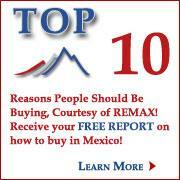 Why use RE/MAX in Rocky Point Mexico? RE/MAXagents are full time professionals full time in Rocky Point! Licensed Agents in the state of Sonora Mexico! Full time staff, Broker, Trust Department Coordinator full time in Rocky Point! Experienced agents that know the market and can help you find the best deals! Training focused on buyer and seller representation with a goal no greater than increasing our character and competence! Focused efforts on qualified buyers and sellers giving us the experience to best serve you the serious buyer! Family owned and operated enjoying Rocky Point for 30 years! 9 years experience in the Rocky Point Real Estate Industry! Systems in place to protect you! Rocky Point has a great deal to offer and we are here to help you see the value in our beach front community and us. First and foremost is proper representation - our goal is to qualify all our buyers to see there motivation and ask important questions giving us the chance to truly know their needs. We will ask you specific questions making sure we understand your needs ie cash or terms, ocean view or ocean front, price point and desired use being personal or business/rental just to name a few. From this point we are able to move forward aggresively putting together for you a detailed spreadsheet of current opportunities meeting your criteria. Our goal is from this point to narrow the search so that when you come to Rocky Point you can enjoy looking at properties and your vacation. When we find the right property that feels like a home away from home we are then in a position to make an offer. At RE/MAX we make sure you are protected by putting contingencies in place on the offer. RE/MAX Trust Department reviewing all documentation verifying clear proof of ownership. We will send you the offer which is in english and spanish for review and signature asking you initial each page and sign the last page. By all means if any question are to come up we are here for you and will not move forward until you are 100% comfortable. With all offers we request earnest monies that will vary depending upon the sale price of the property. If earnest monies is by way of check we will hold the check uncashed until accepted. If the money is wired it will be into our escrow account - it is important to note this is non facilitation RE/MAX account in the US and only for earnest monies. Most offers in todays market are being presented with a - valid for 1 to 3 days. Important all buyers understand this is not the US and recently we have seen aggressive offers with 1 day given to answer that has put all parties involved in a position due to sellers being unreachable. With seller financing we are seeing as low as 10% down, 6% interest and a 5 to 6 year balloon. Again with seller financing in Mexico 6% in a solid interest rate - this is not the US. Although 6% is a good interest rate for todays market as your buyers agent we would recommend coming in at 4% and try to get acceptence of 4.5%. All offers have a - To Close On or Before date which will usually be around 3 to 4 weeks from the acceptence date. To push for a close to happen sooner rather than later has at times put us and our client in a position that actually extends the closing past the reasonable date we would have recommended. Once the offer is accepted if this is a listing represented by an outside brokerage we will have your RE/MAX agent turn in a packet with all necessary documentation to move forward. Reyna Molina - Trust Coordinator will then review all documentation and verify you are protected and we are safe to move forward setting up a closing date. Reyna will then go to work aggressively representing you verifying we have all documentation needed. She will verify with our Trusted attorney Luis Larrinaga that the property is in good standing. The down side is not all banks offer this option and to switch banks would cause added cost of cancelling current trust. With all transactions we encourage our clients to have a private contract to protect them when doing seller financing and or paying cash. The cost is an estimated $900.00 which we recommend being split by both buyer and seller but the value is far greater. We will be creating links to pages that go into detail about the different options of how you can purchase your condo, home or lot in Rocky Point Mexico. With a closing date set we are then in a position to give an accurate estimate of closing cost for your review and acceptance. Understand we will need a set date for closing so we can pro-rate HOAs, Taxes and Bank Trust Fees. The estimated time frame for recieving the bank trust is approximately 4 to 6 months. It's a great life in Rocky Point!